Boca Raton residents can count on Lindstrom Air Conditioning & Plumbing for all of their heating & air conditioning, plumbing, and HVAC needs. Serving homes and businesses since 1975, Lindstrom Air Conditioning has become one of Florida’s most trusted service companies. We offer a full range of products to help meet the needs of Boca Raton residents. Our HVAC and plumbing products include air conditioners, heat pumps, traditional water heaters, thermostats and more. We have over 150 team members that are ready to help you with all of your HVAC and plumbing needs! Our NATE certified, trained technicians have several years of experience when it comes to installing and repairing air conditioners in Boca Raton. We offer fast, 24 hour emergency service if you experience an unexpected air conditioning breakdown. Lindstrom Air Conditioning vehicles are fully stocked and ready to tackle all of your air conditioning repair needs. We also offer a full range of new air conditioning units, and heat pumps if you’re in the market for a new cooling system for your home. Lindstrom Plumbing proudly serves Boca Raton, Florida and the surrounding areas! 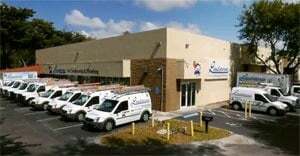 From drain clogs, toilet repair and leaks to water heater installation, we’re the plumbers to call in Boca Raton. 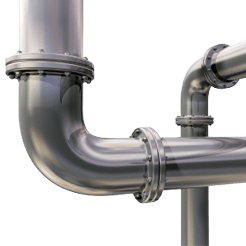 Our plumbers meet our rigid trust certification standards and our plumbing services are guaranteed in writing against defects in workmanship and materials. We offer 24 hour emergency plumbing service to Boca Raton and we stand behind the work of our plumbers. For all of your residential plumbing needs, give Lindstrom a call when you need a plumber in Boca Raton. We offer a full range of high quality HVAC and plumbing products and services, providing total comfort to your Boca Raton home. We are your local air conditioning, heating solutions, plumbing, and air quality experts and we’re proud to serve our Boca Raton neighbors with our 100% satisfaction guarantee. When you call us to make an appointment, know that we take your HVAC and plumbing problems and our job seriously. We strive to earn your trust and business, and look forward to working with you. Give us a call or schedule your HVAC or plumbing service online.